The new compressor in operation on the Kvitebjørn field in the North Sea from 17 September will increase production there by 220 million barrels of oil equivalent and extend the field’s lifetime with eight years. 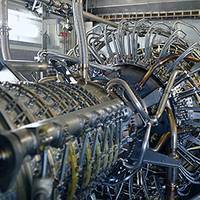 The compressor will help boost recovery rate and accelerate production on the Kvitebjørn field. The new compressor contributes to an increase in the recovery rate at the Kvitebjørn field from 55% to 70%. “These are very profitable barrels, which make a considerable contribution to wealth creation on the Norwegian continental shelf. 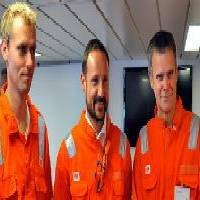 Norway’s Crown Prince Haakon officially opened the Statoil-operated Peregrino oil field offshore Brazil today in a ceremony aboard the floating production storage and offloading ship (FPSO). The event was attended by relevant authorities and international journalists. Crown Prince Haakon was accompanied by Norwegian petroleum and energy minister Ola Borten Moe, Statoil CEO Helge Lund, Norwegian ambassador to Brazil Turid Eusebio, and Brazilian mines and energy minister Edison Lobão. The guests were first led on a tour of the FPSO, followed by an official opening ceremony.